Because of their mundane looks and low-performance specs, vans are usually overlooked at auto shows. 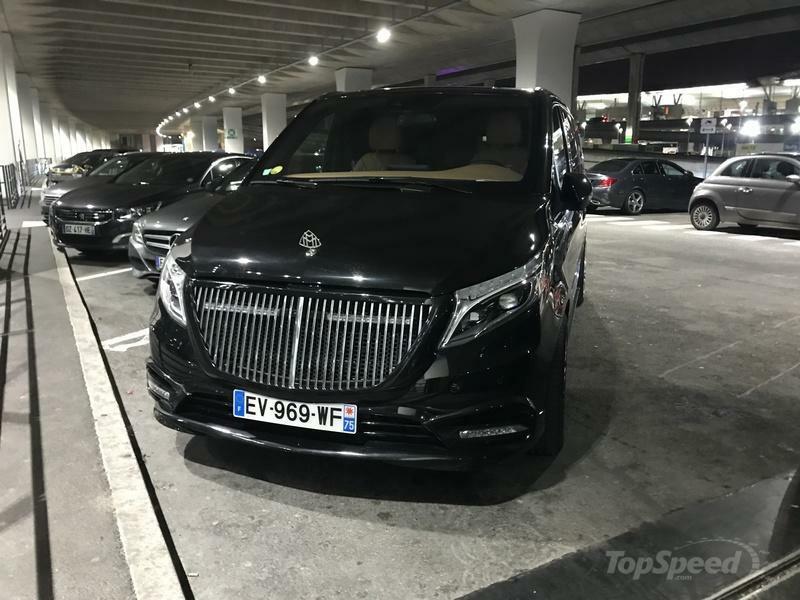 But the Mercedes-Benz V-Class that just debuted in Geneva shouldn’t be one of them. Although it’s not a brand-new vehicle, the third-gen V-Class boasts a few impressive features. 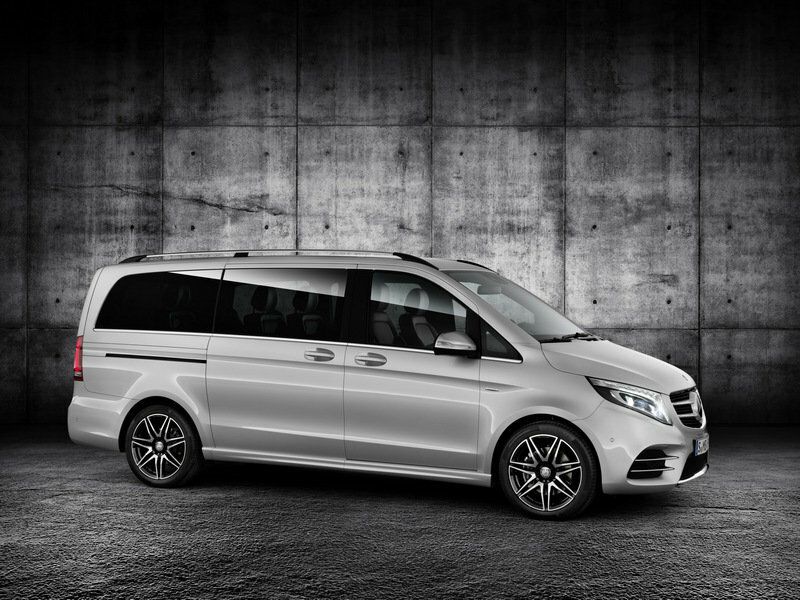 The V-Class is no ordinary van! 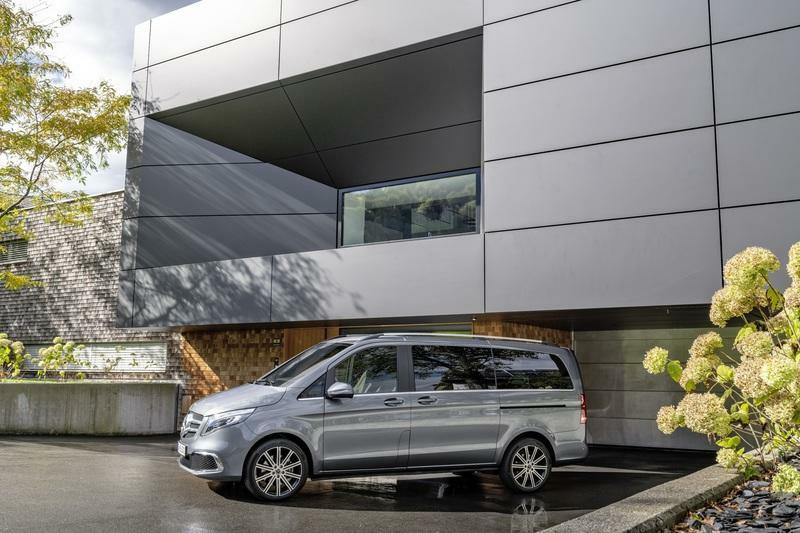 While the V-Class’ main purpose is to haul people from A to B or provide space for large families, it’s more than just a box on wheels with car-like features. The van’s front fascia is just as sporty as any Mercedes out there. It has big vents with horizontal blades in the bumper, a splitter-like element just below the central intake, a dotted grille seen on most of Merc’s cars, and swept-back headlamps. The headlamps, the pointy grille, and the heavily sculpted engine hood give the front fascia an aggressive look you won’t see on other vans. Granted, the profile and the rear end are just as boxy as any commercial van, but the two-tone wheels, the body-colored mirror caps, and the blacked-out window trim set it apart as a more premium offering. 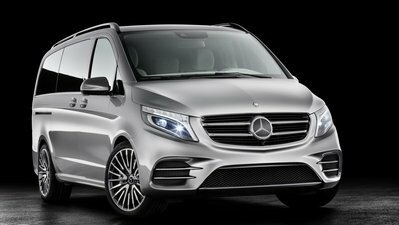 The V-Class is no ordinary van! Nappa leather is standard on every trim, available in black or silk beige. The van’s interior was revised in order to look more like Mercedes’ smaller cars. It now features turbine-style A/C vents, a cleaner center stack, and a big infotainment display at the top of the dashboard. It still looks like a van inside the cabin, but it’s a fancier proposition that reminds me of premium SUVs instead of people movers. The massive wood trim on the dashboard looks amazing, but it’s the big amount of leather you can find in this van that places the V-Class above the competition. You can now order a new "tartufo" Nappa leaher option for an elegant look, but you can also select the Lugano leather hide in either black or silk beige for a classy appearance. While these are standard on the more expensive models, Nappa leather is standard on every trim, also in black or silk beige. What’s more, you can combine any of them with trim elements in either ebony wood, carbon-fibre, or brushed aluminum, so you basically have access to tens of possible combinations. Riding in a van isn't as comfortable as a sedan or even an SUV, but Mercedes-Benz found a way to fix that. You have to pay more for optional features, but the Germans promise a premium sedan-like experience. And I’m not talking about the LED-illuminated cup holsters or the coolbox in the center console, but the luxury seats with fully reclining functions, massage, and climatisation. They come with three different massage intensities, three climatisation stages, and what looks like a comfortable design with plenty of lateral support and big armrests. 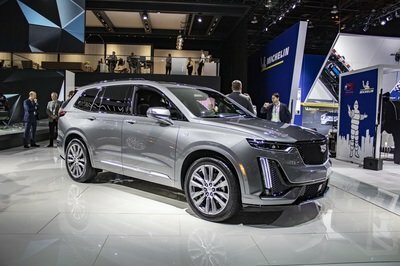 These seats are standard on the Exclusive trim and optional on the other models, so you’ll have to pay more to haul your friends or family in extra comfort. 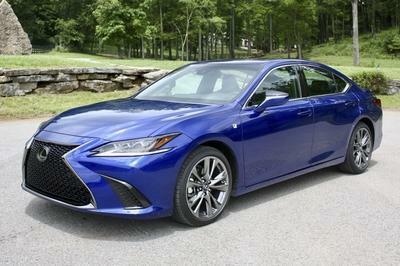 The facelift adds a new four-cylinder diesel engine rated at 239 horsepower and 500 Nm (369 pound-feet) of torque. It charges to 62 mph in 7.9 seconds and it can reach a top speed of 137 mph. Granted, it’s nowhere near as quick and powerful as an AMG-badged Mercedes, but it’s not slow either. Fuel consumption is pretty good too, rated at 6.3 to 5.9 liters per 100 km (44.9 to 47.9 mpg U.K.) with this oil burner. 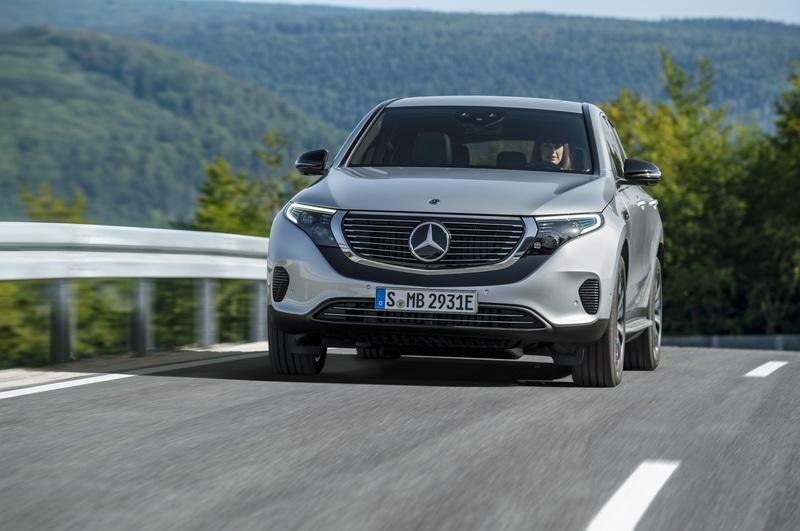 Note: 2019 Mercedes-Benz EQC pictured here. Mercedes will take yet another step into the future with V-Class by adding an electric drivetrain in 2020. 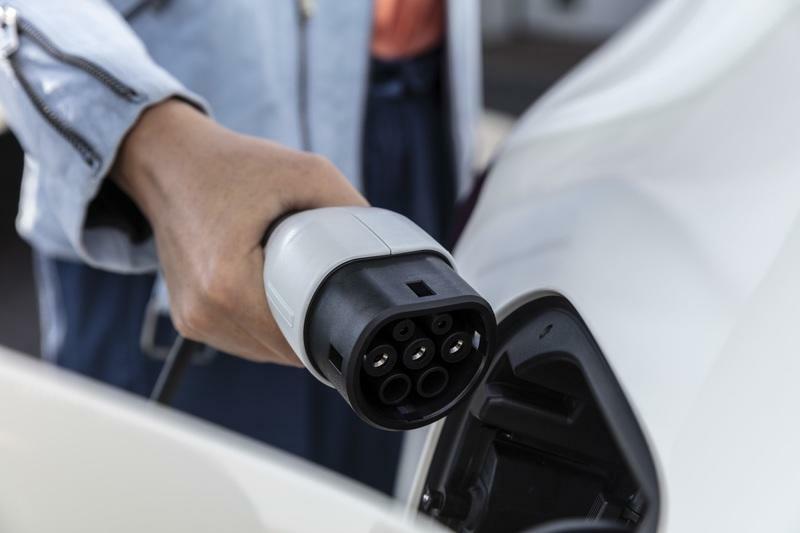 Previewed by the Concept EQV, the all-electric V-Class will join the existing eVito commercial van and the upcoming eSprinter, set to arrive in the second half of 2019. Read our full review on the Mercedes-Benz V-Class AMG Line. Read our full review on the Custom Mercedes-Maybach V-Class. The new Mercedes-Benz V-Class will celebrate it fair premiere at the Geneva International Motor Show from 7 to 17 March 2019. 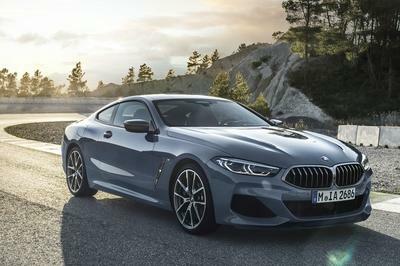 A week earlier the biggest member of the Stuttgart-based passenger car family with the new front-end design, engine and 9G-TRONIC automatic transmission is already available to order. Prices in Germany start from 39,631.80 euros (including 19 percent VAT). 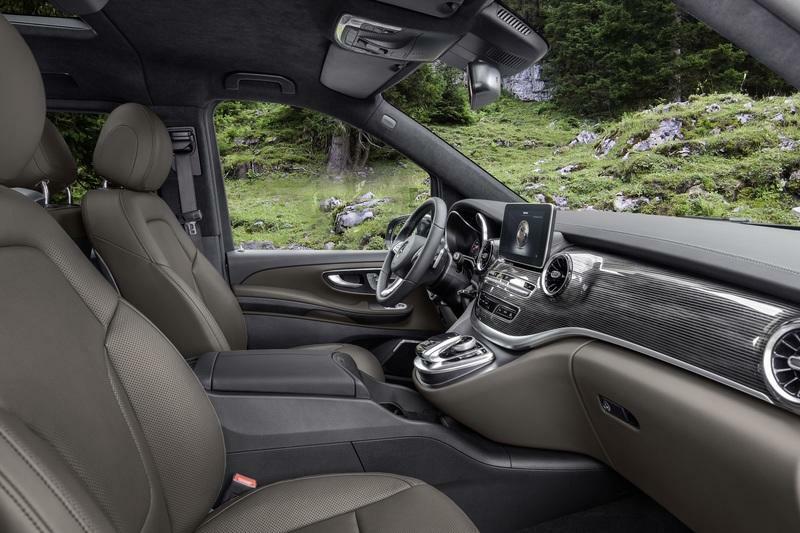 In the interior, too, the designers have been busy, transposing the design philosophy of the current Mercedes-Benz passenger car models into the new V-Class. The interior of the new V-Class follows the trend of modernity and clarity. In line with the facelift, the V-Class presents itself with new air vents in a more sporty turbine look as well as new dials in the instrument cluster. Thanks to the reduced design, drivers can orientate themselves much more simply. The new upholstery and equipment colour tartufo nappa leather makes a modern and elegant statement. With Lugano leather and nappa leather, each available in black and silk beige, not to mention Santos black fabric, a total of six different upholsteries in light and dark colours is available. Modern and elegant can also be used to describe the new trim element in twin-stripe look which is used on the instrument panel and in the side trim elements. The trim elements in the piano lacquer, ebony wood, carbon fibre and brushed aluminium looks remain. As part of the facelift, rear passengers can enjoy an especially comfortable space. The optionally available luxury seats for the first rear row are a real treat and, just like in the S-Class, they offer a fully reclining function, back massage and climatisation. A journey in the new V-Class, for example as a VIP shuttle, thus turns into a spa like treatment after a stressful flight or business meeting. The facelift also sees the V-Class equipped with the 9G-TRONIC automatic transmission for the first time. The particularly comfortable and efficient converter automatic transmission replaces the 7G-TRONIC and is available as standard for the V 300 d (combined fuel consumption 6.3-5.9 l/100 km, combined CO2 emissions 165-154 g/km)1 and V 250 d (combined fuel consumption 6.3-5.9 l/100 km, combined CO2 emissions 165-154 g/km)1. It is optionally available for the V 220 d (combined fuel consumption 6.3-5.9 l/100 km, combined CO2 emissions 166-156 g/km)1. The driver can use the DYNAMIC SELECT switch to select the drive programs "Comfort" and "Sport" and thus influence the shifting behaviour. Alternatively, "M" mode allows the driver to shift manually using the DIRECT SELECT steering wheel gearshift paddles. All engine variants of the new V-Class are equipped as standard with rear-wheel drive, but 4MATIC permanent all-wheel drive is available as an option. In this way, the new V-Class can move agilely on various types of terrain. The vehicle height remains under the two-metre mark even when equipped with all-wheel drive. Thus the new V-Class does not lose any of its daily usability and can still fit in regular garages as well as multi-storey and underground car parks problem-free. The standard features Crosswind Assist, which supports the driver in keeping the vehicle on track even in the case of heavy crosswinds, and ATTENTION ASSIST put the V-Class in a league of its own for safety standards in its segment five years ago. The facelift continues to build on this position. 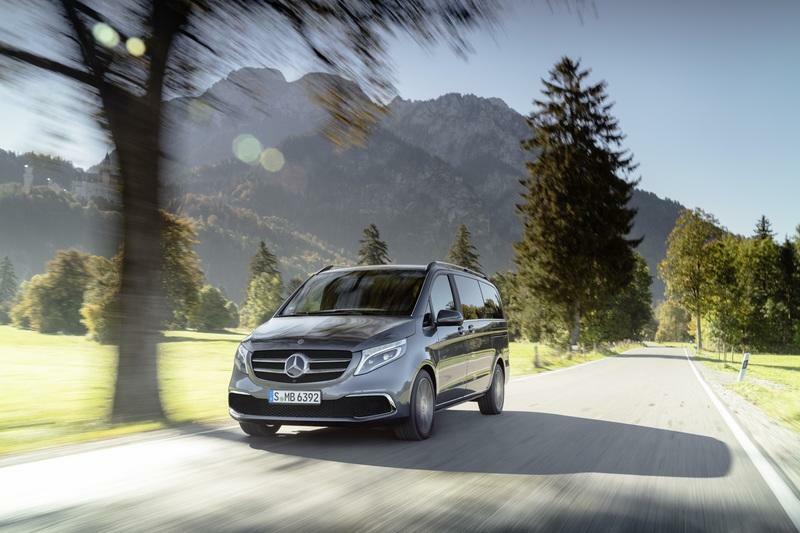 Be it in terms of style or value appeal, performance and efficiency or safety, the Marco Polo family based on the V-Class benefits from the first facelift to the Mercedes-Benz MPV. The compact Marco Polo and Marco Polo HORIZON campers and leisure vehicles also feature the new front-end design, the new paint colours and light-alloy wheels, as well as the new air vents and upholsteries. 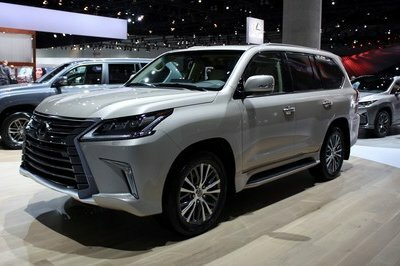 They are joined by the new diesel engine with a new peak of 176 kW (239 hp) (combined fuel consumption 6.8-6.1 l/100 km, combined CO2 emissions 180-160 g/km)1 as well as Active Brake Assist and Highbeam Assist Plus. The new Marco Polo and Marco Polo HORIZON with the 9G-TRONIC automatic transmission have been available to order since 1 March 2019 alongside the new V-Class. Prices in Germany start from 61,990 euros (including 19 percent VAT) for the Marco Polo and from 58,060.10 euros (including 19 percent VAT) for the Marco Polo HORIZON.